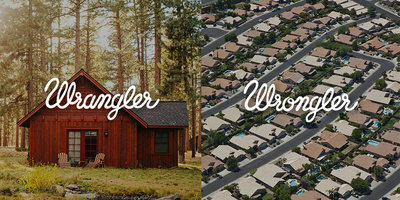 Wrangler vs Wrongler, the choice is yours. 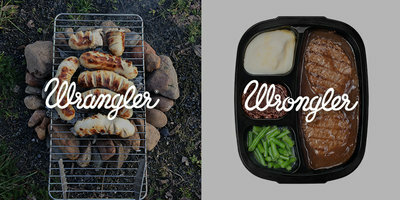 WE ARE Pi, launches Wrangler Europe teaser campaign offering a new lifestyle choice. 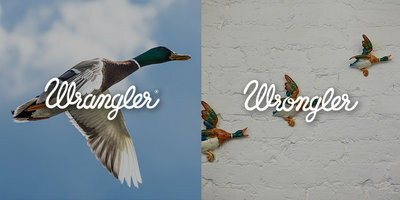 Ahead of launching an innovative new brand platform and fall/winter 2015 product range, Wrangler Europe teases it’s new approach with social and OOH campaign, ‘Wrangler Vs Wrongler’, from Amsterdam based Ideas Company, WE ARE Pi. Wrangler V.s. 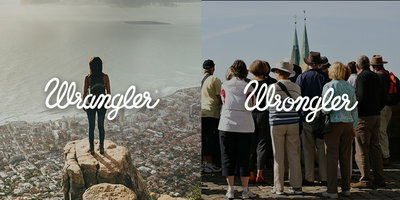 Wrongler, the choice is yours. 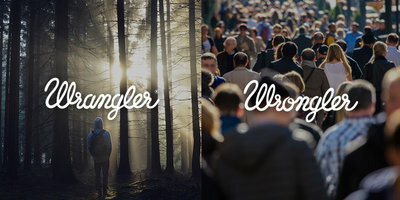 Amsterdam, 7th September 2015 – Ahead of launching an innovative new brand platform, Wrangler Europe teases it’s new approach with social and OOH campaign, ‘Wrangler Vs Wrongler’, from Amsterdam based Ideas Company, WE ARE Pi. 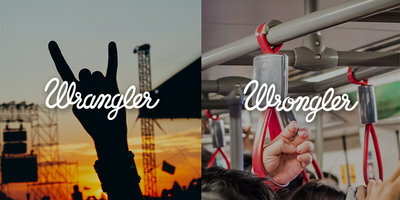 With ‘Wrangler vs Wrongler’ the iconic denim brand aims to motivate people on how to lead a better life by giving customers a lifestyle choice, the Wrangler way, to extract the most out of your day to day. 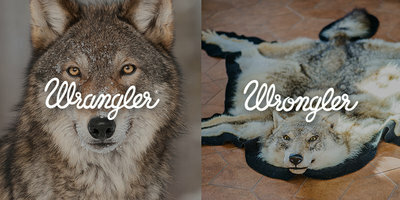 Ilaria Pasquinelli, Brand Marketing lead at Wrangler Europe says, “With this campaign we want to inspire our long time fans and new consumers to live the Wrangler way. It’s a celebration of life and the brand’s soul”. 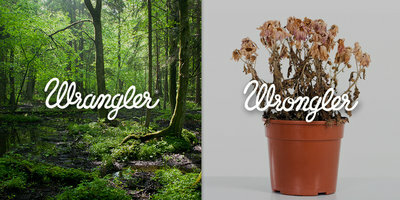 Rick Chant, Creative Director at WE ARE Pi says “The evil twin, Wrongler reminds us all to live Wrangler”. After winning the Wrangler Europe business in a competitive pitch in 2014, this is the first campaign from WE ARE Pi, that will run across Social Media and OOH across Europe. 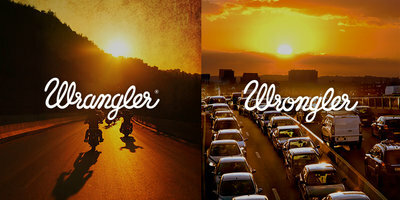 The Integrated European brand platform, Wrangler Born Ready, launches at the end of September. Wrangler is an American manufacturer of jeans and other clothing items founded in 1947. The brand is part of VF Corporation, the world's largest apparel company. VF brands include Lee, Napapijri, North Face, 7 For All Mankind, Vans and Timberland. Founded in 2011, WE ARE Pi is an Amsterdam based international Ideas Company that delivers brand storytelling across communication and experiences, for clients including; Coca-Cola, Under Armour, LEGO, Wrangler, Kipling, ABB and TED Conferences. Contract Patrick Garvey at WE ARE Pi for more details and interviews. 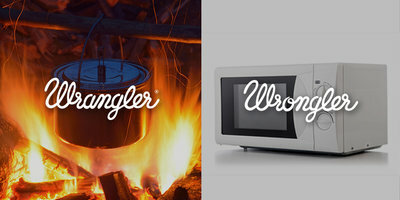 Wrangler vs Wrongler, la decisión es tuya. 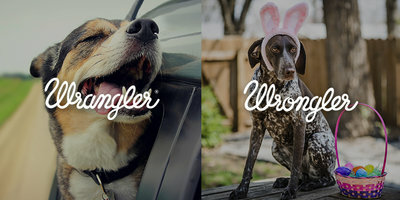 Wrangler presenta il suo gemello malvagio : “Wrongler”Moshi Moshi Netizen! | Moshi Moshi Netizen! Nuzzel - Wrangler vs Wrongler: che stile di vita scegli?